An avid runner, Jaime Lewis took pride in her pain-is-progress attitude for years. And then her son was born, and her world was rocked. 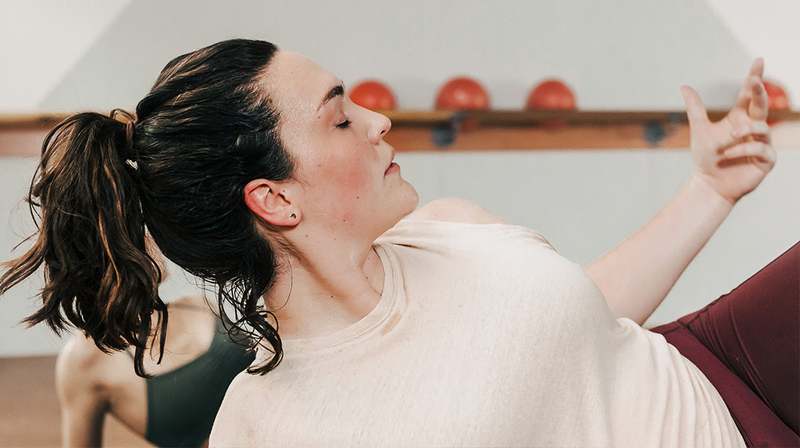 Read on to learn how becoming a mother changed everything, and how barre3 helped her find a pain-free path that has shifted her perspective forever. Early in life, I acquired a taste for pain. By adolescence, I was an addict. Anything worth doing, I learned, was worth doing until it hurt. I ate until my gut ached. I dieted until my hands trembled. I ran until my knees buckled. That worked for 32 years. And then, suddenly, it didn’t. My son came into the world in 2010, screaming, helpless, and vulnerable. Unlike the rest of my life, he didn’t respond to concentrated effort or charm. He wasn’t unhealthy or challenged in any way ― just relentlessly needy. And nothing I did felt like it satisfied those needs. No amount of applying myself seemed to make a difference, and a darkness seethed where my fickle self-confidence once lay. Its expanding borders crawled over my marriage, my work, my relationships, and my joy. Before long, I sat on the vinyl bench in my OB’s office, weeping and asking for antidepressants. Life became more manageable with help. I sought a therapist and talked about my feelings. I saw a naturopath who fixed my thyroid imbalance. I went back to work and even started running again. The pounding and pain felt just like home. Weirdly, though, running didn’t help me shed my baby weight. After several half-marathons and hundreds of creaky, achy mornings, I saw a body in the mirror I no longer recognized. Didn’t my sagging belly know how fast I’d been running? How could my droopy backside and thick thighs have been impervious to all that work, all those hours on the pavement? Perhaps my diet was to blame, I thought. Trying a cleanse that had helped me slim down in the past, my belly rumbled. Again, the pain felt comforting and familiar. 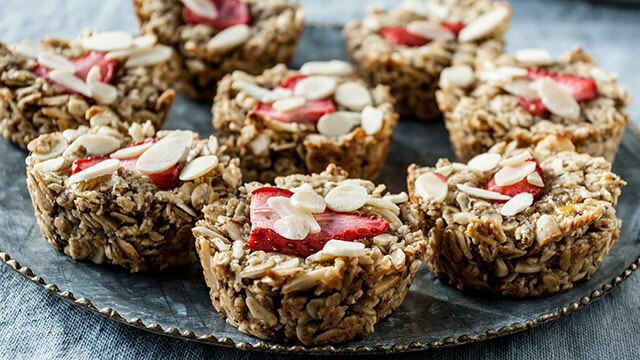 But dieting while caring for now two small children, I was too cranky and exhausted to be a good mom. What’s more, the extra pounds still refused to budge. Something had to change, but it wasn’t my level of effort or deprivation. If suffering no longer delivered results, what on earth could? The first time I tried barre3 Online, I scoffed. This isn’t fitness, I thought as I squatted in Sumo posture, my glutes lifting up one inch, sinking down one inch, almost imperceptibly. I’m barely moving. When I picked the kids up that afternoon, I felt stronger, calmer, and with a longer fuse. Then, making dinner that evening, I felt a tug in my glutes. I can’t believe it, I thought. I’m sore from that one stupid inch. I tried another 30-minute workout the next day. This can’t possibly tighten my abdominals, I thought, windmilling my arms back and forth during step-taps. Where are the crunches? But sure enough, the next morning, my torso felt tighter. 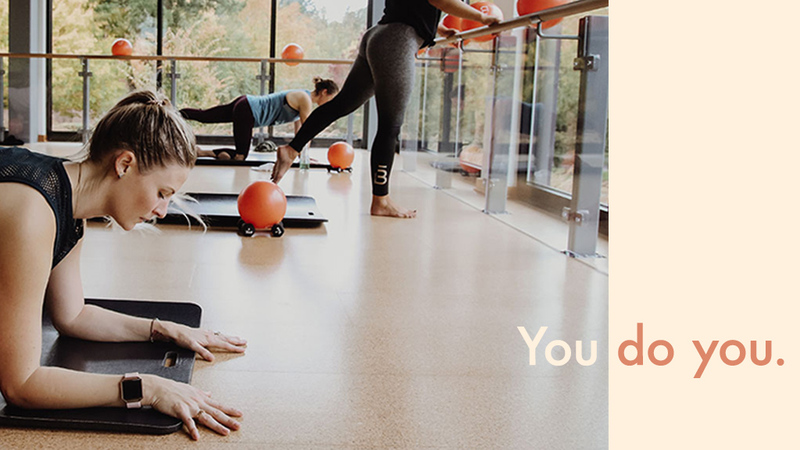 Without a local barre3 studio, I subscribe online and rise early five mornings a week to move. At first, I worried I wouldn’t be able to maintain the discipline to keep up with my subscription, but those “shakes and quakes” are habit-forming. I crave the stability of Primary Posture, the heat of a good hold, and the relief of breath work. I’ve been on the road a lot these past couple years, but I can take barre3 with me wherever there’s wifi; I’ve planked and horse-posed my way through eight countries and countless hotel rooms without missing a workout. In the old days, I tended toward perfectionism, but barre3 is the antidote to that. If I don’t feel like going “turbo,” I go gentle. And being at home means I can stay in my jammies, if I want, no spandex required. I pull my props out of the closet and take 30 minutes (or sometimes just 10) to get reacquainted with my body ― a body that, at 40 years old, is more toned and fit than I can ever remember. The benefits of barre3 go far beyond appearances, though. I live much of my life at a desk, lost in cerebral thought. barre3 returns my brain back to my body each day, where it can experience the fullness of a hearty belly laugh, empathy for a friend, or the softness of my kids’ hair. By actually feeling my feelings, I’m less compelled to eat, drink, strive, or smile until it hurts. Where once there was suffering and burden, now there is sensitivity and balance. My husband and I recently painted the entire interior of our house in a weekend ― a task that would have been excruciating during my stiff, decrepit running days. But all those barre3 squats, marches, diamonds and pulses I do every morning had trained me well: by weekend’s end, I was still painting. “Where is this new stamina coming from?” my husband asked me, clearly impressed. Jaime Lewis writes about food, wine, travel, and the good life, and is an advocate for maternal mental health. Find her on Instagram @jaimeclewis.